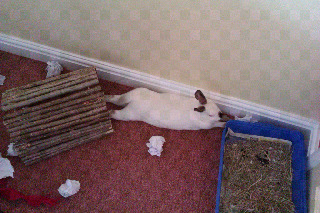 Speedy the cheeky house bunny: The final chapter in my trip down memory lane! This is my final chapter in my trip down down memory lane.I've had fun busy times so far,and I'm looking forward to many more.But the next job is planing my birthday party for next Saturday.Want to come? 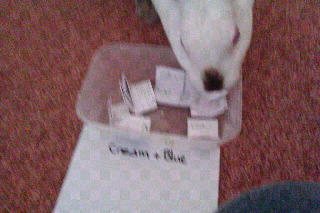 Me picking the winners for my prize draw give away! My first angry evil bunny mood! Those were good Speedy and you sure know how to draw out a winner! You've got a birthday coming up? And you're having a party??? I'd love to attend! Ummm... what's the bunny version of nip? Carrots? 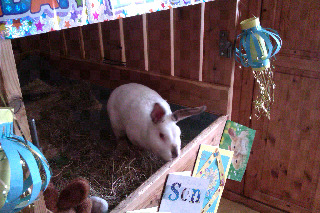 Speedy..maddy says she will be there for your bday!!! It's great to see all of your adventures! 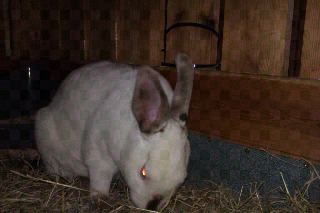 Ohhhh...you look like a bull about to charge in the evil bunny mood pose! And we'll all be here for your birthday! I love having guys round too! see you at my party! 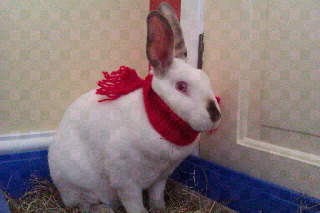 Speedy....we are LOVING that red scarf!!! And count us IN for the Bday party! me too ,see you at my party! My mom is going to a birthday party at a real live FARM next Saturday, but after she goes to that one she will be sure to bring me to yours!! Keep the door to the magic closet ajar - we'll be sneaking in to the Party through the back from far, far away! of course I'll leave it open,are you coming too RG? Sir Speedyof Cheekiness, thank you so much for this wonderful walk down memory lane. I want to wish you an early happy birthday and lots and lots of more birthdays and more wonderful memories for you and yours! 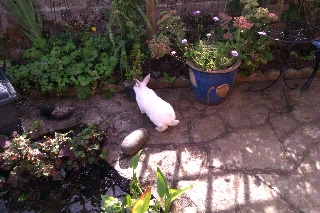 Oh, oh, Sir Speedy's bunny kisses! I am swooning. You really are the sweetest secret pen pal bunny ever! LOL at "My first angry evil bunny mood!" hahahahaha! What was that about? Man Speedy you are SO handsome.